Marketers have more channels that enable brand engagement than ever before. As both consumers and marketers know, virtual, augmented, and mixed reality have already begun to transform our world. While these new digital experiences are making life more interesting, this new world is also creating confusion and apprehension for brands. They are struggling to justify the cost and untangle the complexity without a way to measure effectiveness — and account for the changes that will impact the market in the next few years. As we all know, VR has traction, but like all new media formats, marketers need to decide where, when and how to activate marketing activity for their brand on the adoption curve. In 2016, sales of VR headsets fell shy of original forecasts. The total number of units (not including their smartphone cousins) are estimated at 1.2m — much less than the 2m predicted. However, by 2021, CCS Insight expects sales of dedicated VR headsets to grow to 22m units, an 800% increase over 2017. Ultimately, internet users are waiting to buy headsets because they’re expensive, and VR content is scarce and of low quality. This same thing happened with HDTVs, as consumers waited years for adequate HD content, and it’s back again with 4K TV. There isn’t much broadcast, cable, or satellite TV in 4K yet, but Amazon and Netflix are steadily adding 4K movies and original content to their streaming services. Most estimates put VR’s mass-market tipping point six-to-eight years away. Worldwide revenues for the augmented reality and virtual reality market are likely to reach $13.9bn in 2017, an increase of 130.5% over the $6.1bn spent in 2016. And VR, as we know it today, could be displaced by innovations like Osterhout Design Group’s R-9 glasses, the secretive Magic Leap, Meta, Microsoft, and others working on merged/mixed reality headsets. A lot of brands are simply waiting. They have serious business considerations outside of just brand recognition, from the size of the addressable market to the effectiveness of the experiences in leading to revenue. For the brand marketers this presents a late adoption / profitability paradox or put more simply, the age old ‘chicken and egg’ scenario. Because the market is still in its infancy, content production seems very expensive — but the fact is, it’s elastic. If you don’t invest, it leaves you open to being left behind. If you choose to invest, you need a way to evaluate creative merit, measure effectiveness and justify the cost. 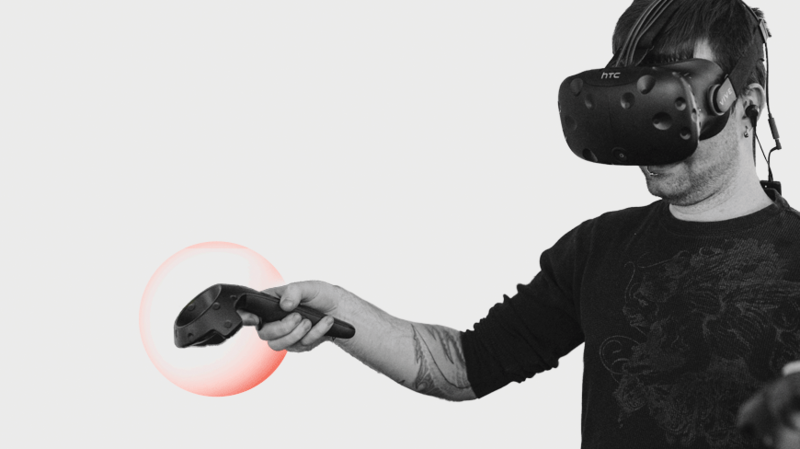 Without concrete VR analytics available, demonstrating the value of VR and optimising brand experiences has become a recurring headache for brand marketers. At Isobar, we solve complex business challenges in a connected world of products, services, and marketing, that drive digital strength and shareholder value. We believe that creativity can deliver business value, so in the development of our Market leading VR practice, we first determined what makes great VR content, concluding that great VR should have at least two of the following characteristics: engaging, connective, episodic, interactive, non-linear. Then, in response to client demand, we collaborated with the MIT Media Lab, to develop a way to capture and analyze behavioral and biometric data. This lead to further research by Isobar and the Isobar marketing intelligence practice to emotional states created by virtual, augmented, and mixed reality experiences. Suddenly, brands have precise, sensitive methods that measure success. Companies working with us can know consumers better than they know themselves. In the moment, like never before. The platform combines the expertise of Isobar’s marketing intelligence practice, biometric research platform from iMotions and the MIT Media Lab, and integrates with the Game Developer platform, Unity to “record” VR experiences. As an agency we recognise the need to partner with these deep specialists in order to deliver bespoke, complex solutions at scale, and it is with these partners that we can pave the way for the optimisation of immersive experiences for brands in the future. We don't plan to stop here. As new VR platforms make their way into the marketing landscape as well as consumer homes, our plan is to continue to evolve the VR analytics platform in parallel. This means extending the software to work with applications created in other VR runtimes/game engines like Unreal Engine and on devices that will provide not just close-off VR experiences but also augmented, mixed and merged reality. There is great excitement about the potential that companies like Apple, Google, ODG and Magic Leap have in terms of creating new types of digital experiences, but their value will need to be proven in the same way that we've had to work to quantify the value of VR experiences. It's also important to note, being able to measure VR experiences doesn't mean that every VR experience checks the box of being "good". Part of our approach is to identify places where VR experiences are misaligned with customer expectations and need to be improved. By leveraging our Analytics tools throughout our iterative design process, we are able to identify stumbling blocks or underwhelming content and change them prior to a public release. With the advent of machine learning and related hardware, as well as the adoption of AI tools by companies such as Unity, we can now fully leverage all of our captured behavioral and biometric data. With the addition of user demographic and survey information, this data is fed into algorithms. Apps become smarter and more aware of the intricacies of user preference and impressionability based on a wide range of factors. With the advancements in GPU/CPU hardware, AI frameworks, and biometric sensing, we are now able to capture and analyze both behavioral and biometric data. This leads to new ways of understanding users and designing experiences that appeal to them on a neurological level. The cost reduction in sensors, and the increase in computing power along with AI, allow us to design and build the next wave of digital experiences: ones that are smarter, more engaging, and appealing to users in once-impossible ways. We may not have cracked the biggest challenge, but we have made progress in solving the ultimate chicken and egg problem for marketers - determining whether your brand’s VR experience is likely to be effective in evoking the right emotional response, from the right audience, at the right time.